Hop Harvest Beer Days is our own special baby. Created to celebrate local beers and support a neighborhood non-profit (Metropolitan Performing Arts Academy), the event brought together two worthy causes we could really get behind. 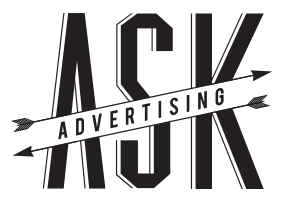 ASK Advertising created Hop Harvest Beer Days, organized the event, designed the custom hand-lettered and illustrated logo, spearheaded the branding, and strutted the swag. Branding this event was paramount. We needed to communicate how this beer event was different from all the rest. As a fresh hop festival, the Hop Harvest Beer Days featured beers brewed from just-harvested hops. These local and regional beers from Southwest Washington have a sweeter flavor than those produced with dried hops—plus there is a narrow window of time in which one can enjoy these of-the-moment beverages. By using a bright green color and a fresh hop bud as the logo, the idea behind the festival was immediately apparent. More importantly, the inaugural event was fun, a little wild, and a big success.